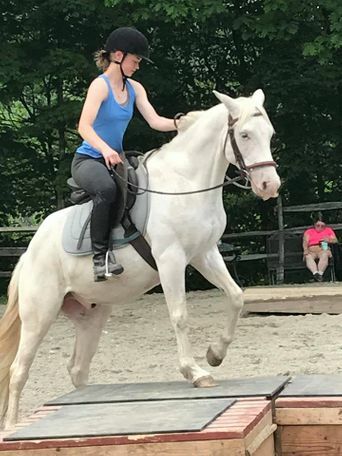 This handsome pony has all his basic training and is going to make a wonderful family horse one day. At this point of his training he needs someone who will patiently continue his education with confidence should he get confused or stuck. 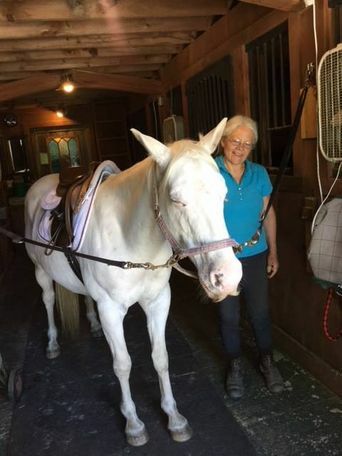 He does walk, trot, canter and goes out on trails alone or in company. He is such a kind and gentle guy with a funny and interactive personality. Everyone falls in love with him and his mustache! 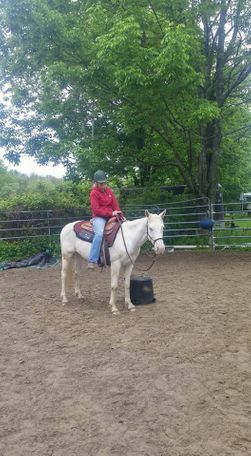 He’s an easy keeper, is great for the trimmer and vet and gets along well with both geldings and mares.